A few weeks ago I realized that I had a problem. I didn’t want to cook anymore. This was really huge for me because I am a cooker! I love the creativity that cooking gives me and I love the reward of eating something tasty. I had just completely run out of inspiration. 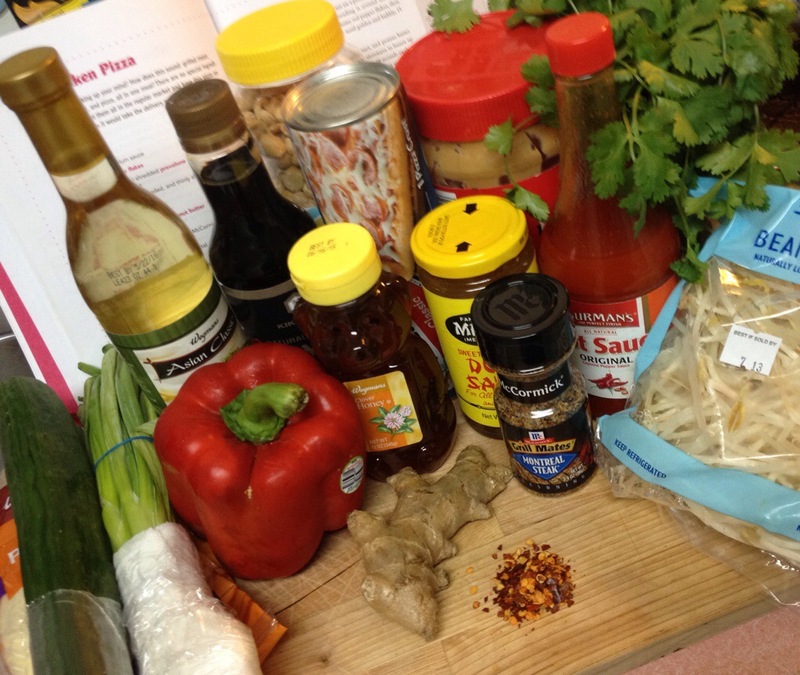 I realized that part of the problem was…I hadn’t cooked a receipe for a long time. I was cooking things that I can pull out of my arsenal of “Stuff I already know how to make.” The thing about recipies is that you learn new skills that are useful in other “go to meal” preparations. I decided to break out some of my cook books and to start making some recipies that would inspire. 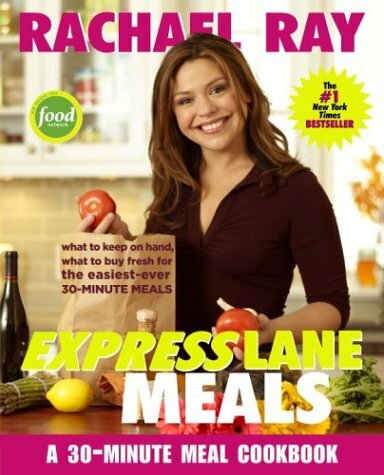 One of my favorite chefs is Rachel Ray. She has a book that I own and LOVE!! Its called Express Lane Meals. This book gives you a grocery list of things to keep on hand in your kitchen and then uses recipes that only need a few fresh item that can be picked up quickly! I love this book! 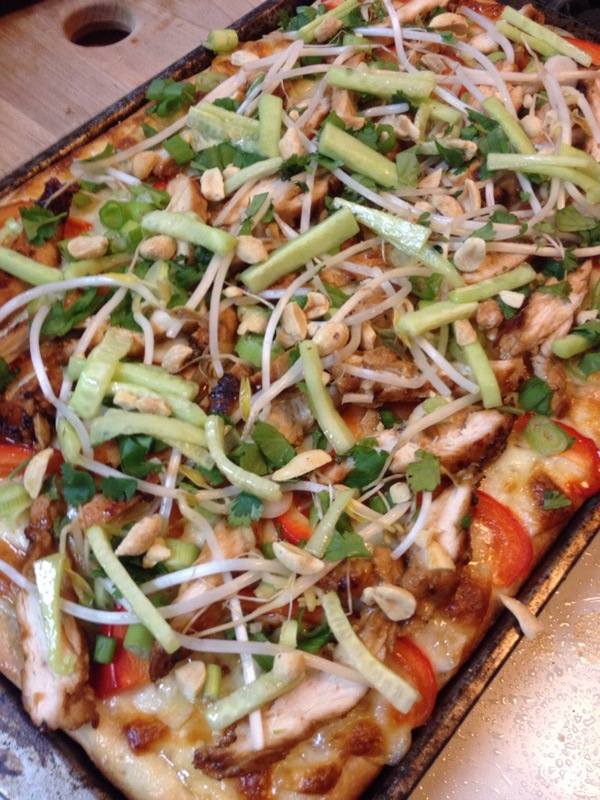 I chose to make the Thai Chicken Pizza and it was delicious! I mean really super-scrumptious-tasty-yummy-delicious. If you get a chance try this pizza out. You will not be disappointed. 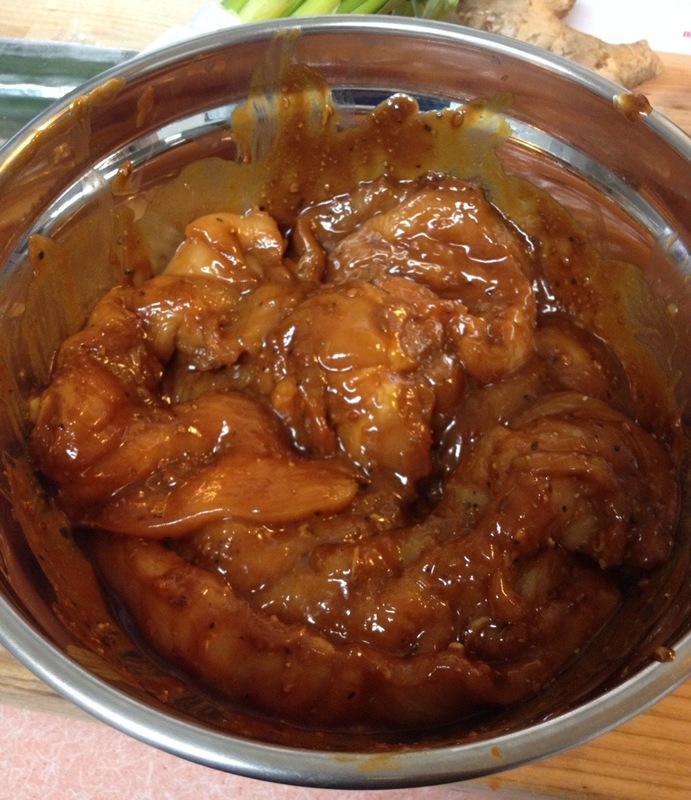 Combine vegetable oil, soy sauce and peanut butter with hot sauce and grill seasoning. 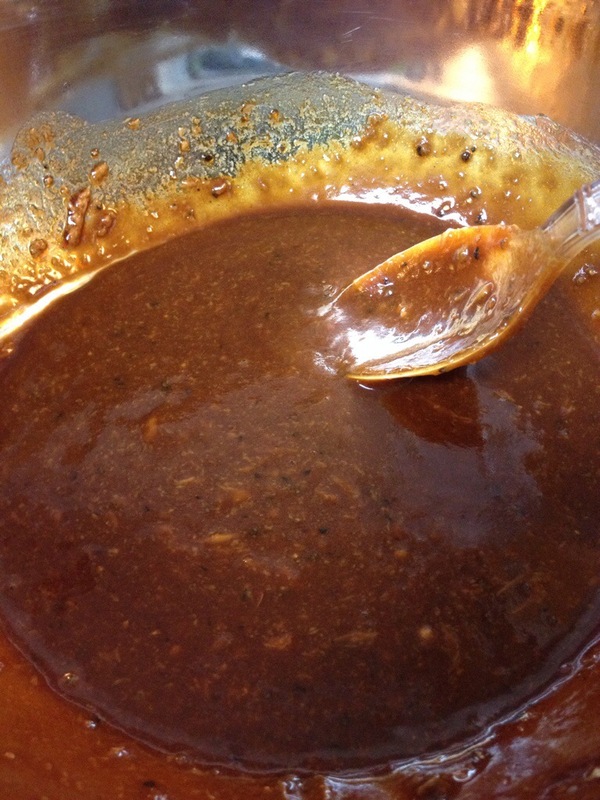 Use the microwave to loosen up peanut butter if it is too cold to blend into sauce, 10 seconds ought to do it. Add chicken and coat evenly with mixture. Next I made the pie base. 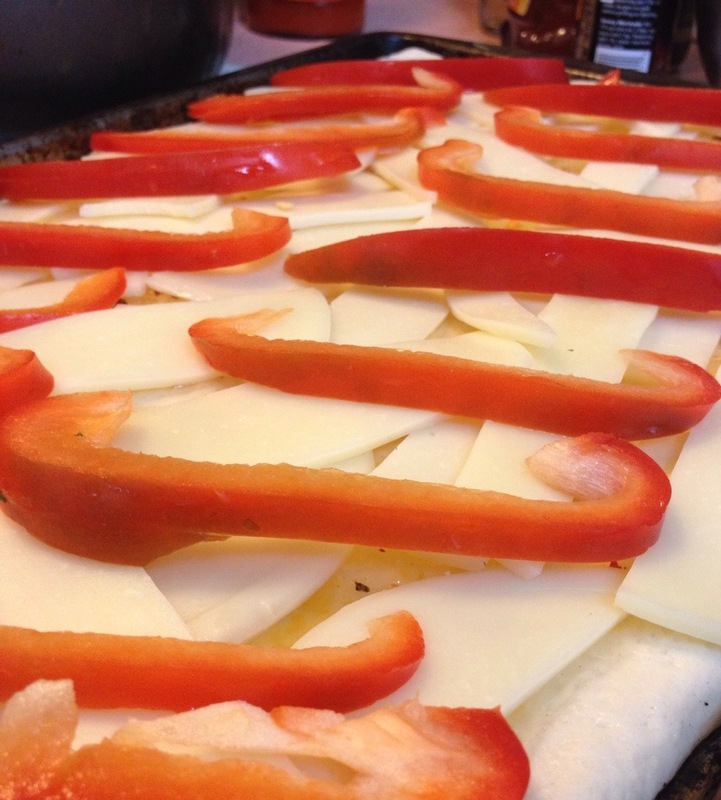 Form pizza crust on pizza pan or cookie sheet. 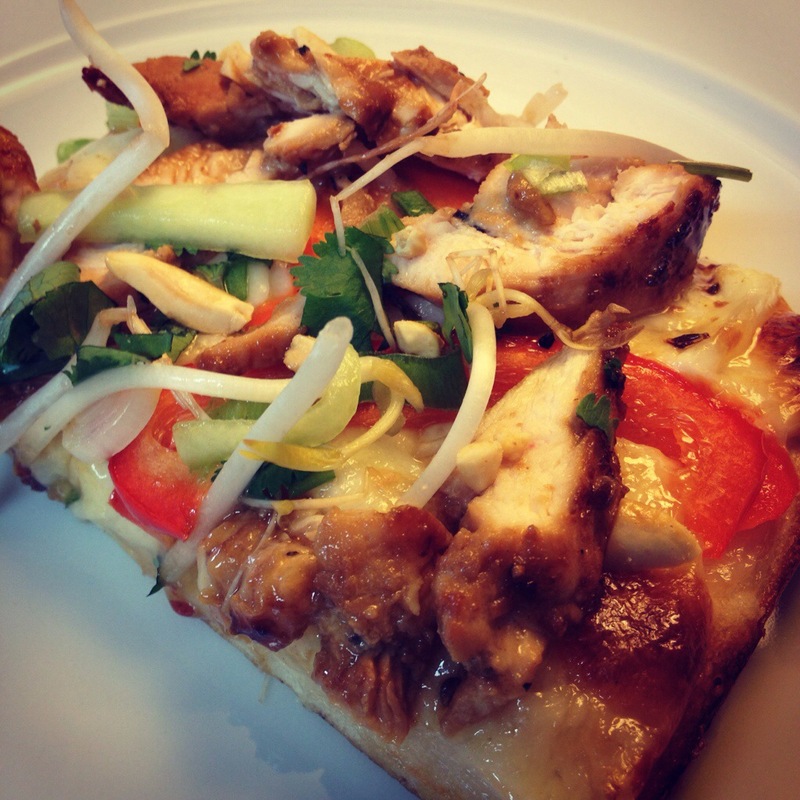 Top with duck or plum sauce – spread it around like you would pizza sauce. 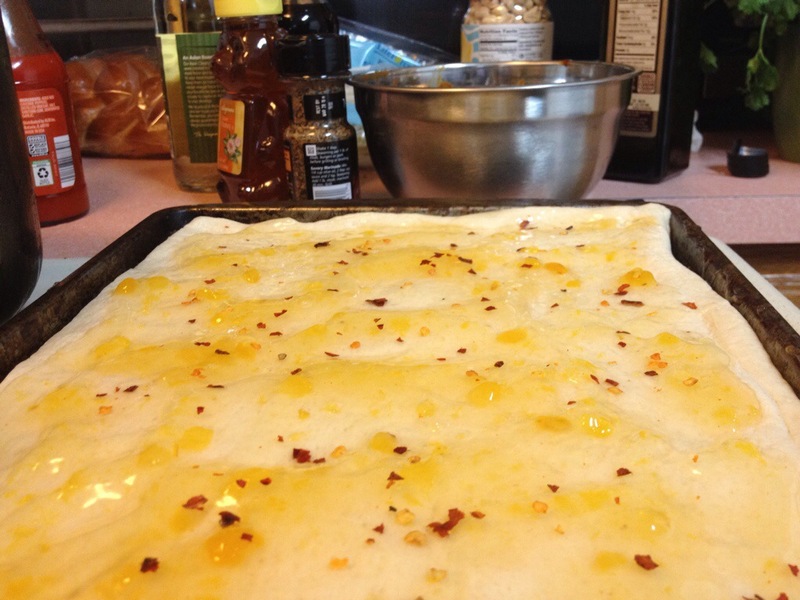 Sprinkle the pizza with some crushed red pepper flakes then top with cheese and peppers. Bake until golden and bubbly, 15 to 17 minutes. 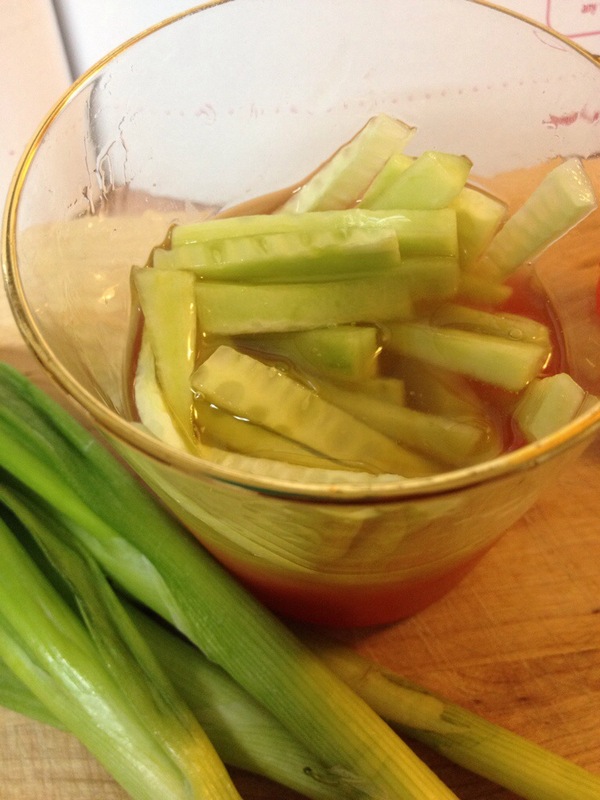 Mix honey and vinegar and add the cucumber that you sliced in to matchsticks. Turn to coat evenly. While the cucumbers are soaking and the pie base is browning cook your marinated chicken. 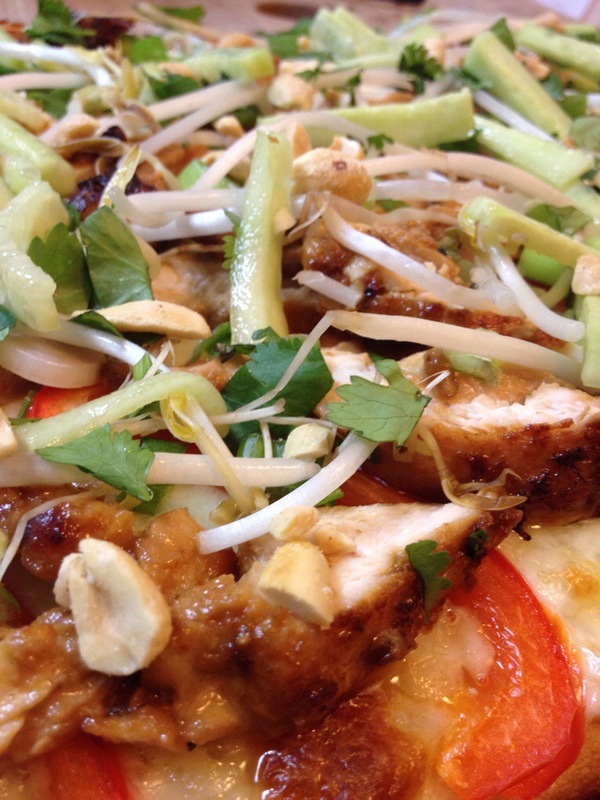 Top the hot, cooked pizza with thinly sliced chicken, scallions, sprouts and cilantro. Drain cucumbers and scatter over the pizza. 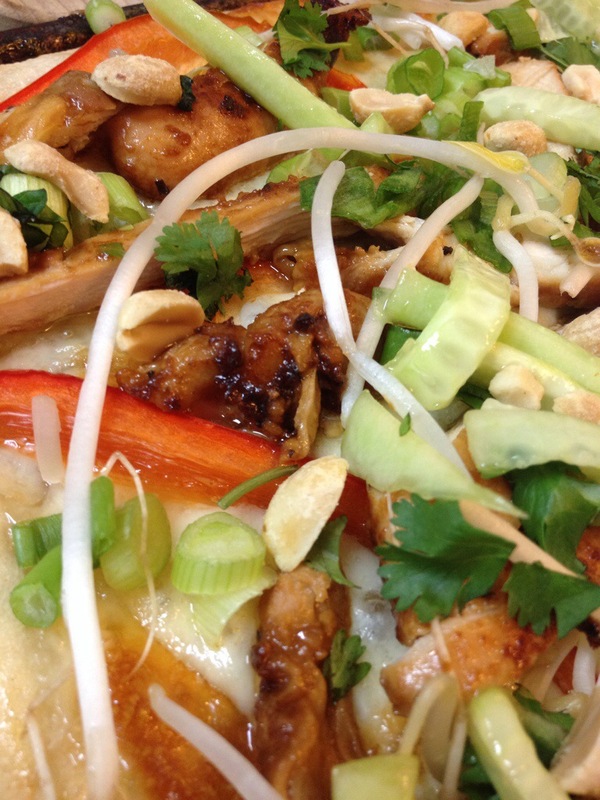 Garnish pizza with peanuts, cut into 8 wedges and serve. Here are a few closeups of that yummy pizza pie! This was a huge success at my house! Let me know how you guys enjoy it! Previous Post 5 Quick Lifehacks! Next Post Happy Wednesday!! Here are some funnies! Looks yummy-delicious ;=) Thanks for sharing. Thank you so much LaTrice. Enjoy!